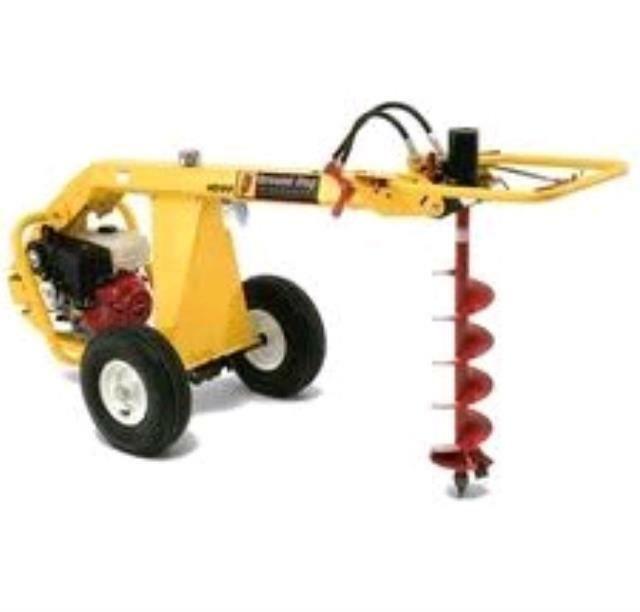 Hydraulic tow able 1 Man Earth Drill by Groundhog. Variable speed in forward or reverse, well balanced to take load off operator and eliminate torque. 3 Handlebar positions allow for normal and close up drilling. 295 lbs length open handle 100", closed 75" width 34" Height 38"
* Please call us for any questions on our digger posthole 1man hyd. tow rentals in Portland OR, Gresham OR, Milwaukee OR, and surrounding metro area.